Featuring a modern interpretation of the renowned shoemaking workmanship known as the "San Crispino", these lace-up derby shoes express a timeless quality. 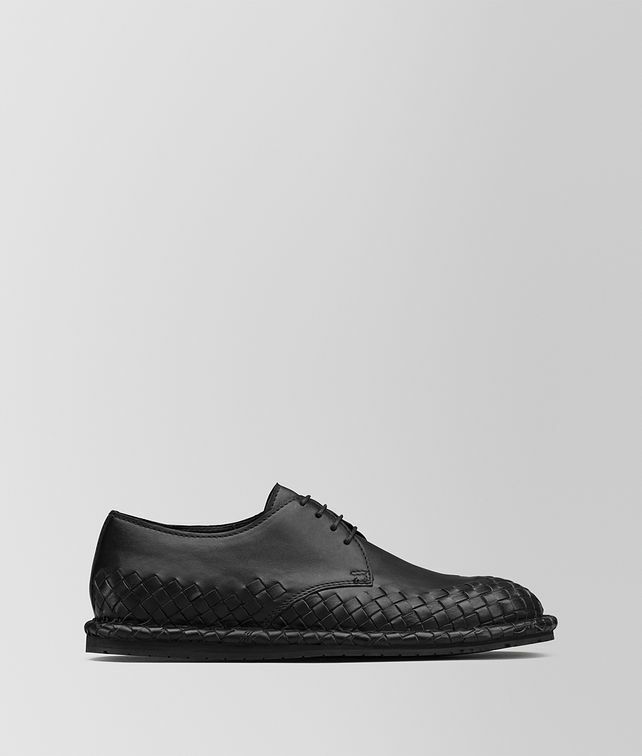 The upper is crafted from a single piece of calf leather, moulded and securely stitched to the sole. This robust traditional construction is emphasised by the iconic intrecciato motif on the tip and welt. Metal eyelets and a flexible, gripped rubber sole are contemporary finishing touches.